Last night at 5:15 pm, I had to come up with dinner. 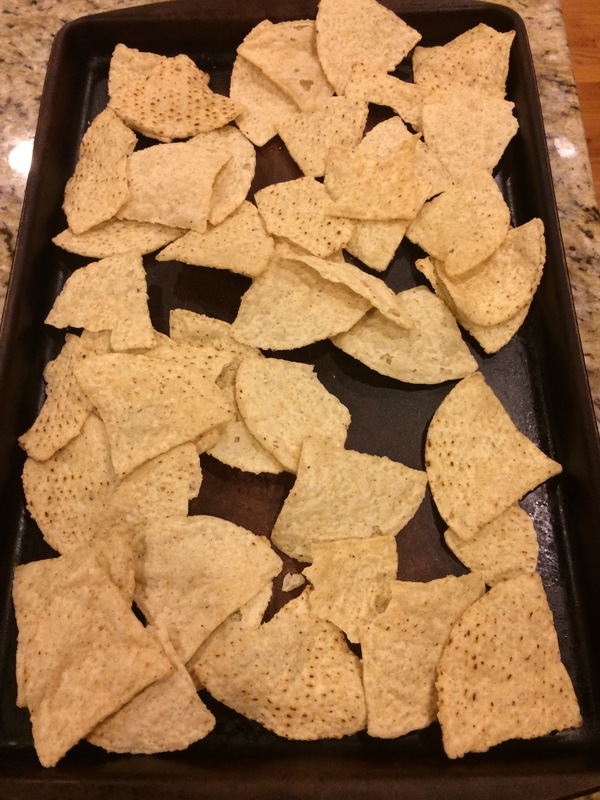 So as I browsed the pantry, I saw some leftover tortilla chips and thought – Nachos! 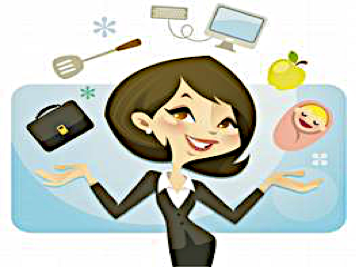 I happened to have most of what I needed to make them, but usually this takes some planning so you can put on exactly what you like. 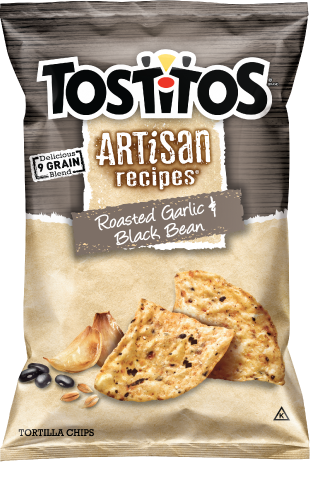 When I do plan to make these, I like to use Tostitos Garlic and Black Bean chips as the base. They are packed with flavor and taste so good with the toppings I use. The toppings are also up to you and your preference. I have used salsa, black beans, ground beef…you can use chicken, chili, jalapeños, other types of beans, the possibilities are endless. 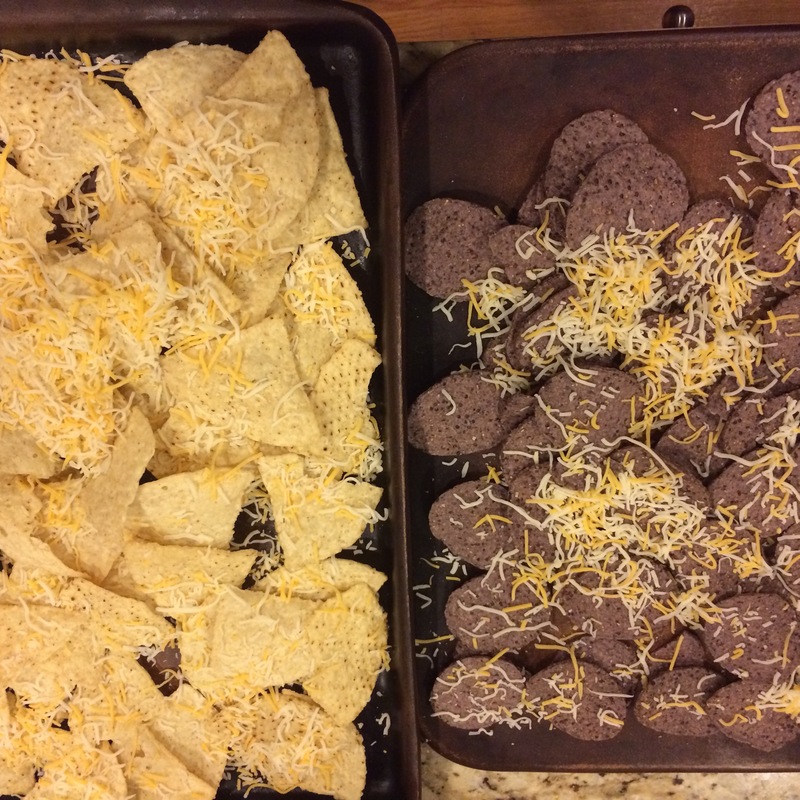 Last night’s recipe I used regular tortilla chips, blue corn tortilla chips, chopped tomato, fresh scallion, Mexican blend cheese and chopped black olives. I hate it when you order nachos and after you get through the top layer, its just a pile of chips so I make mine in layers. First I place a layer of chips. and then repeat. Then I put a layer of cheese and some toppings. Repeat with chips, cheese and toppings. I bake them on 350 degrees for about 10 minutes or until cheese is melted. 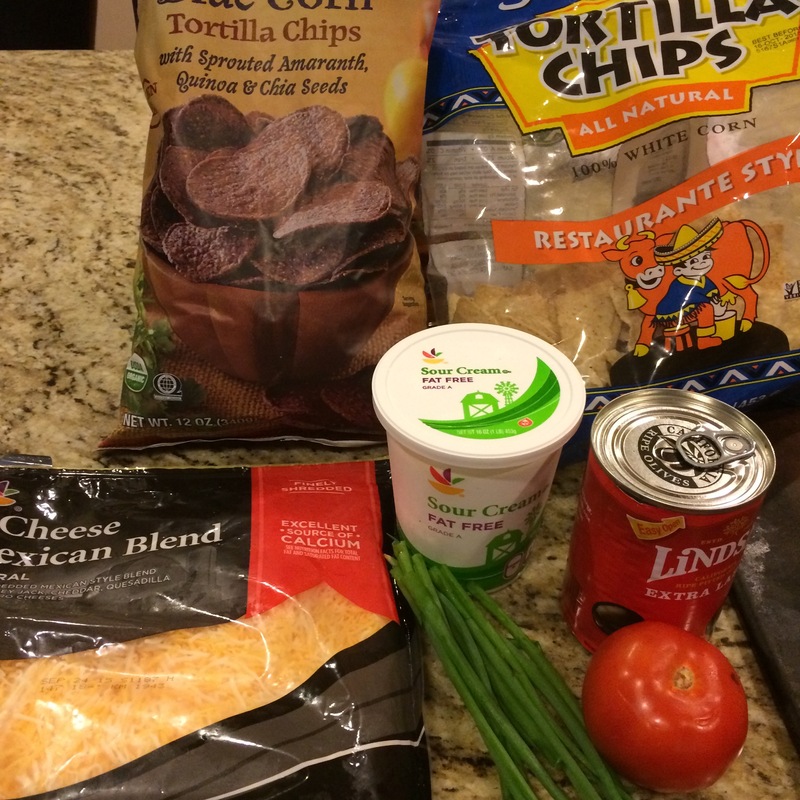 I serve them with a side of sour cream, but you can also do a side of salsa and/or guacamole. We place the trays on the counter and stand around eating them family style. Yum! 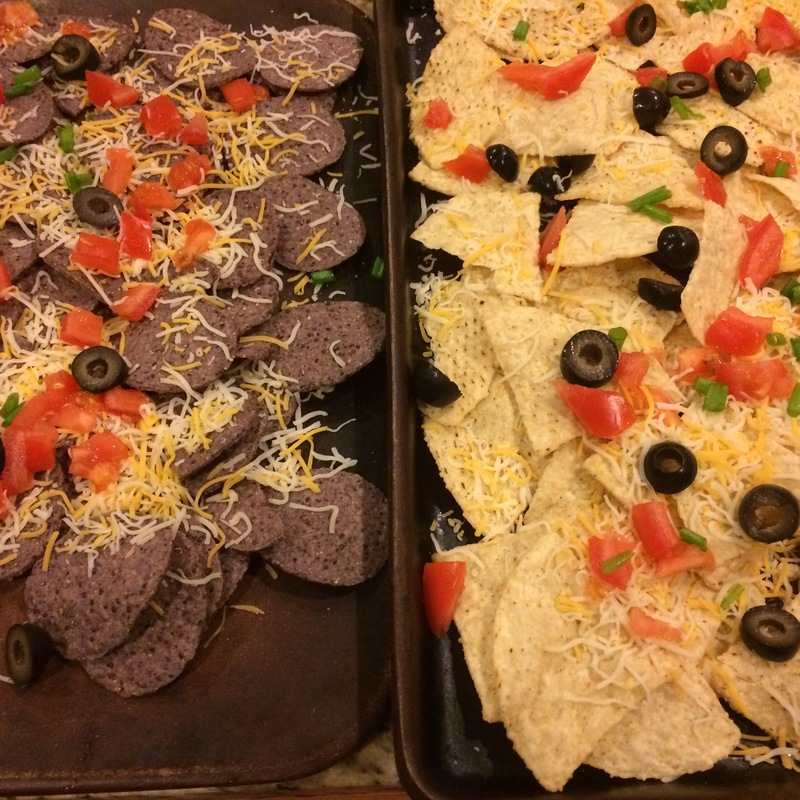 This entry was posted in Recipes and tagged easy meal, easy nachos, homemade nachos, nacho recipe, nachos, quick and easy dinner, quick and easy meal, quick meal.